Draping is a technique that involves working with fabric directly on the mannequin. This allows the designer to start out from an idea that can change as the design of the piece progresses. In this process, creative freedom plays a more important and less rigid role than patterns and drawings on paper do. This publication is a practical step by step guide for students and fashion professionals who want to delve deeper into this technique used by big industry names such as Issey Miyake, Margela, Thierry Mugler, Iris van Herpen and many others. 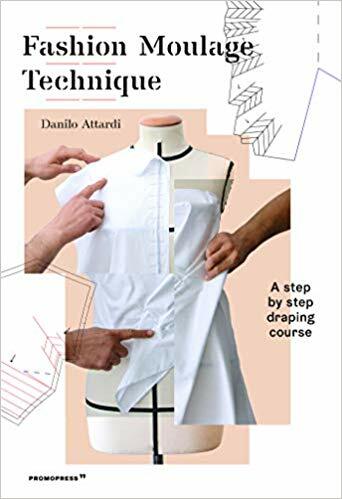 Focusing on a range of subjects, from the required tools and different examples of designs to the steps to be followed in creating jackets, skirts and dresses as well as more specific details, this book offers everything that readers need to learn the principles of draping step by step and have a solid basis for making their own creations without limiting their creativity.